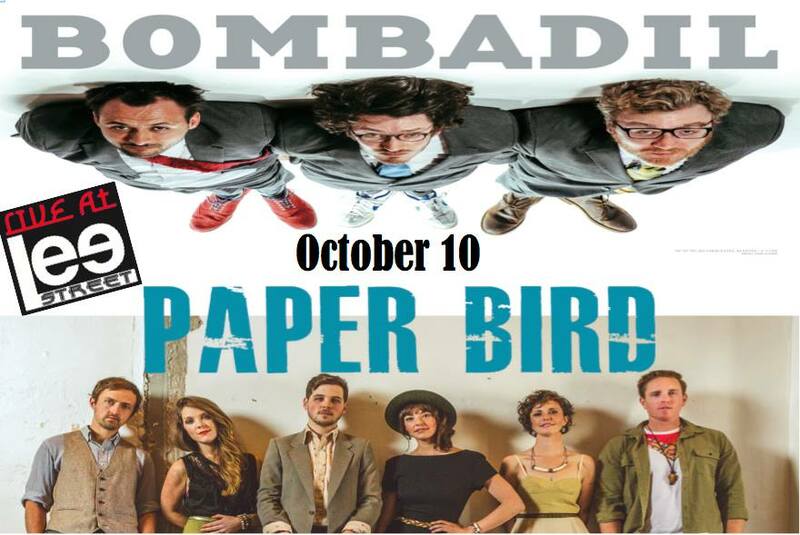 One of our favorite bands among the Kannapolis Arts crew is Bombadil, who are performing Friday, Oct. 10 at Lee Street Theatre in Salisbury. The band has grown and matured and experimented with their music over the years, and we’ve watched their music evolve since first learning about them in 2006. If you get a chance, this is a show you must see. Doors open 7 p.m. Friday, Oct. 10 at Lee Street Theatre, 329 N. Lee Street, Salisbury, N.C. and tickets are $15 each. Bombadil’s last album was almost its swan song. The quartet of singers, songwriters and multi-instrumentalists – Stuart Robinson, Daniel Michalak, Bryan Rahija and James Phillips ­recorded “All That the Rain Promises” in 10 days, while living in a barn in Oregon. The barn was so cold, they had to warm their hands by a wood-burning stove between takes. The album’s sparkling blend of folk, rock and gentle psychedlia earned rave reviews, but Michalak’s continuing hand problems made the future look grim. He¹d developed a case of neural tension that made playing and driving painful. They toured sporadically and weren’t sure about the future of the band. Happily, a regimen of relaxation and stretching exercises has Michalak’s pain under control, and the band is rebuilding its momentum. They spent most of 2012 touring and recording the songs that became Metrics of Affection. The album is their most melodic and adventurous outing yet, a cornucopia of styles marked by mischievously surrealistic lyrics and their familiar lush harmonies. Their inventive arrangements add funk, country, boogie woogie, rap, early rock and hints classic pop songwriting, circa 1940, to their already eclectic sound. “Metrics of Affection” is an embarrassment of riches, 13 tracks of pop without boundaries, brimming over with bubbly energy and masterful songwriting. A subtle drum loop, simple piano triplets and slide guitar, ala George Harrison, give “Angeline” a swooning energy to match its bright, playful lyric. “Boring Country Song” is actually a literate, lyrical ode to the missed connections that make relationships so difficult; its luxurious cascading harmonies and sparse piano will send chills down your spine. Bluegrass banjo and hip hop rhythms collide on “Born at Five,” a song that tells the story of an ordinary man’s life in three minutes, a really remarkable piece of songwriting. The melody of “When We Are Both Cats” has the infuriating catchiness of a nursery rhyme. 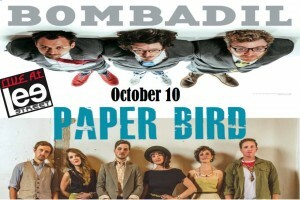 Bombadil rapping? Well, yes, sort of. “Escalators” opens like an old fashion pop tune, with cuatro and gorgeous four part harmonies. Then it morphs into a slow rock ballad, featuring a melancholy trumpet line played by Michael Stipe to support Michalak’s vocal, a staccato sing/talk performance full of tongue twisting internal rhymes that land somewhere between Grandmaster Flash and Fred Astaire. Every track is crammed with little musical and lyrical touches that will pop your ears, twist your brain and tickle your heart with their unexpected flashes of playful wit. 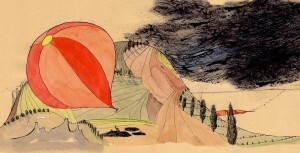 Bombadil is as much a family as a band, a collective of like-minded friends who just happen to be talented and innovative musicians and multi-instrumentalists. Like all families, they’ve had their share of ups and downs, break ups and reunions, but the long road they¹ve traveled together has made their bond closer and their music more emotional and intimate. Stuart Robinson met Daniel Michalak on a hiking trip during a pre-orientation program at Duke University in 2002. They started making music on Michalak’s laptop, playing keyboards, singing and writing songs together. In 2004, Michalak went to Bolivia as an exchange student and ran into Bryan Rahija. They’d played together in a cover band, but didn’t become friends until they met in Bolivia. After discovering they had similar ideas about songwriting, they began making demos. After hearing the band’s music, a friend suggested they call themselves Bombadil, after Tom Bombadil, the singing, songwriting character in “The Hobbit.” With Daniel’s brother John on drums, they became a quartet and put up a few newly completed songs on their MySpace page. Dolph Ramseur, head of Ramseur Records, loved what he heard on the band’s MySpace page and caught their live show soon afterward. He was impressed by their energy and signed them. He helped them book shows, hone their sound and make records, including the Bombadil EP in 2006, the album “A Buzz, A Buzz” in 2008 and the album “Tarpits and Canyonlands” in 2009. In 2007, a Craigslist ad had turned up drummer James Phillips, a long time Bombadil fan, and he joined the band just as “A Buzz, A Buzz” was being completed. The band was getting rave reviews for their lively, chaotic shows and brilliant albums, which drew not unwarranted comparisons to The Beatles. Then things fell apart. Robinson said he wanted to leave the band and Daniel Michalak was slowly losing the use of his hands due to his neural tension condition. By the time “Tarpits and Canyonlands” was released, Robinson had quit and the band was on hiatus, hoping Michalak’s hands would heal enough for him to play music again. Next, John Michalak left to go to medical school. It looked like the end of the line, but the call of the muse was too strong to resist. 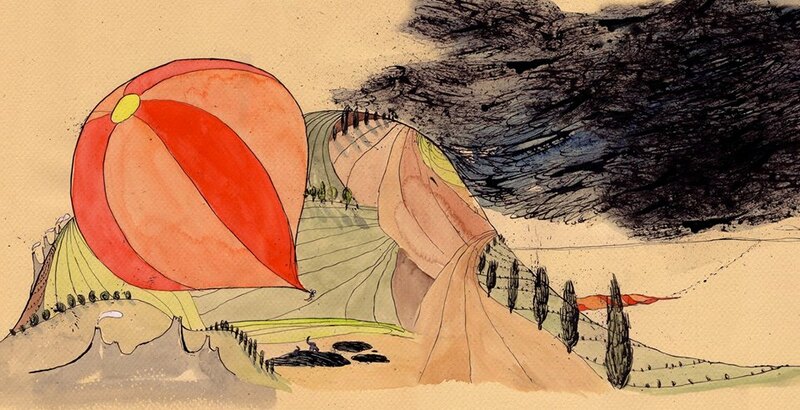 They toured sparingly to support the album, but with the band whole and healthy, and “Metrics of Affection” released in July 2013, Bombadil is back, on tour and intent on fulfilling their dream of writing great songs and touching people with their powerful stage show.